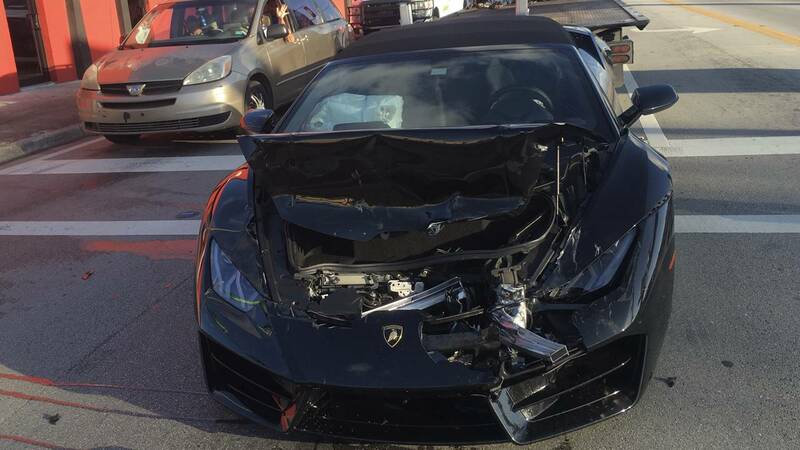 MIAMI, Fla. - A man abandoned a black Lamborghini early Saturday after the sports car rear-ended a pickup truck in Miami. The driver then jumped into a friend's waiting Mercedes and fled the scene, surveillance video shows. A Miami Beach firefighter said he was driving to work around 7:30 a.m. when a Lamborghini struck the back of his truck as he waited at a red light at Northwest Seventh Avenue and Northwest 46th Street. The firefighter, who did not want to be identified, said he wasn't hurt and his truck had minor damage. 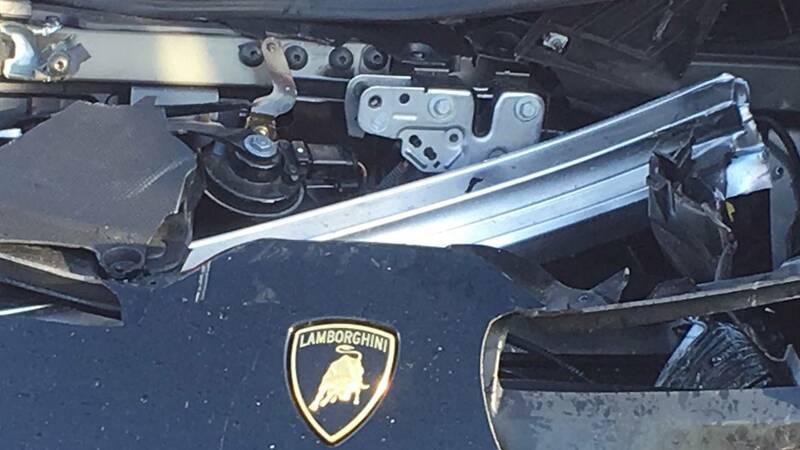 The Lamborghini appeared to have significant front-end damage. The firefighter said the Mercedes had been traveling alongside the Lamborghini. Miami police did not immediately respond to a request for comment about the crash. A business across the street from the scene of the crash captured the crash on its surveillance cameras. “That was really crazy. A Lamborghini is like a $300,000 car how can you just leave it there,” said Tee Wilson who works at a nearby bake shop. The firefighter seemed unfazed by the crash.